Competition Prep needs an all or nothing approach whereby the same foods are eaten day in and day out because that is what achieves fat loss at a sustainable rate. 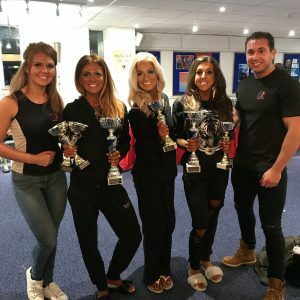 Our Competition Prep plans specify every macronutrient / calorie per meal, we do not have a flexible approach / iifym as we believe that approach doesn’t produce the best results. Our Competition Prep to Stage plans have a ‘no cheat meal’ approach unless advised and our competition meal plans are personalised to the client’s goal and include macronutrient splits (pro/carbs/fats) in relation to goal and activity level. We advise our monthly package of £85 a month which will include your personalised meal and training plans. We will adjust your meal and training plans every two to three weeks depending on your progress. Even weekly changes will be made if necessary, but the monthly fee stays the same. We work closely with the client and are here every step of the way! Progress check-ins will be online and email / text support is 24/7. If you are local to Ripped Gym Basildon we will meet with you personally every fortnight for check-ins. To find out more, send us an email and we will reply with a client questionnaire to complete. BodybyJR provides Competition Prep plans and online coaching to clients around the world. Your BodyByJR coaches also specialise in Maimi Pro, Pure Elite and UKUP posing.